Asama volcano is the most active volcano of Honshu and one of the volcanoes with the longest recorded history of documented eruptions. It is located 130 km from Tokyo in central Honshu, overlooking the resort town of Karuizawa. Asama's activity is typically explosive, including frequent strombolian to vulcanian activity. It has had several major eruptions, including 2 plinian eruptions in 1108 and 1783 AD. 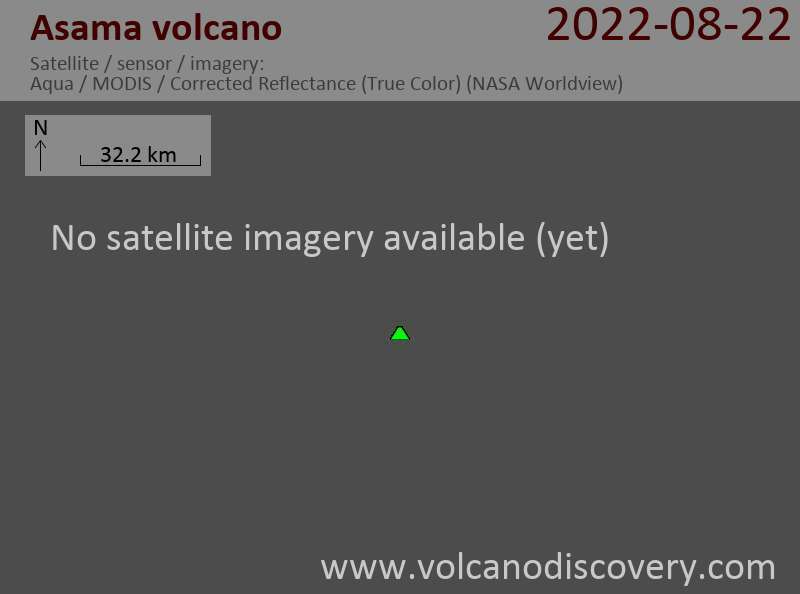 Weak activity continues from the volcano's summit crater. Small ash emissions, intense degassing as well as weak incandescence from the volcano's crater have been observed during the past days. The Japanese Meteorological Agency (JMA) confirmed light ash fall occurred in 4 km north of the volcano. A short phase of increased seismic activity preceded and accompanied the explosion. According to a news article, JMA scientists think that today's explosion will likely be followed by similar ones in the near future, but not lead to a larger scale eruption. Seismicity started to show a weak upward trend already in early 2014, but then stagnated until past April, when the number of daily,and relatively shallow (2-3 km depth) earthquakes detected rose to over 80, the highest level since the volcano had quieted down after its last eruption in 2009. There are strong eruptions being reported from the summit crater of Asama volcano in Japan. There is a high ash column and ash was driven by wind even to Tokyo. The Tokyo VAAC reported an eruption plume that on 14 August rose to an altitude of 3 km a.s.l. and drifted S.